The British government is currently lobbying the European Commission (EC) for a legal exemption to keep a south-Wales power station open, despite the fact its nitrogen oxide (NOx) emissions exceed EU legal limits by 500 percent. Concerns about Aberthaw Power Station’s emission levels have been compounded by an alliance of NGOs’ recent criticism of the company being one of Europe’s highest carbon-emitting plants. Both Carbon monoxide and NOx are known to cause lung disease and respiratory failures. 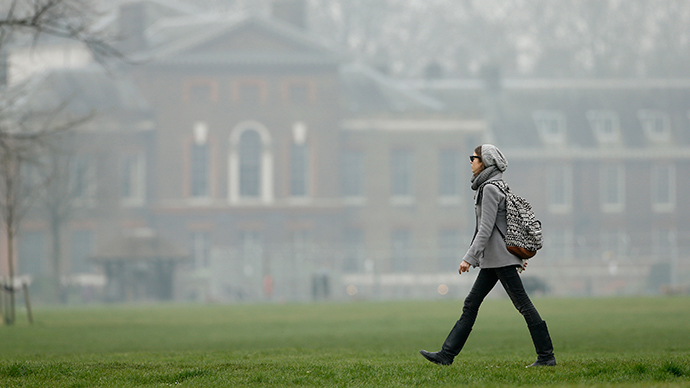 In October 2013, a report by the European Environment Agency (EEA) found that more than 90 percent of people living in European cities breathe dangerously noxious air. 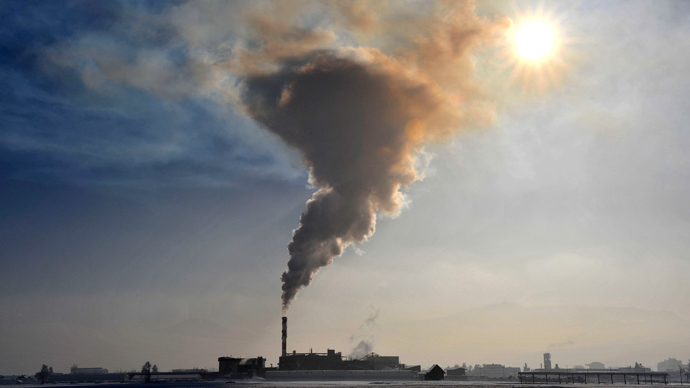 Against a backdrop of mounting concern that the continents’ air pollution levels require stringent action, the EC has initiated infraction proceedings against the British government. 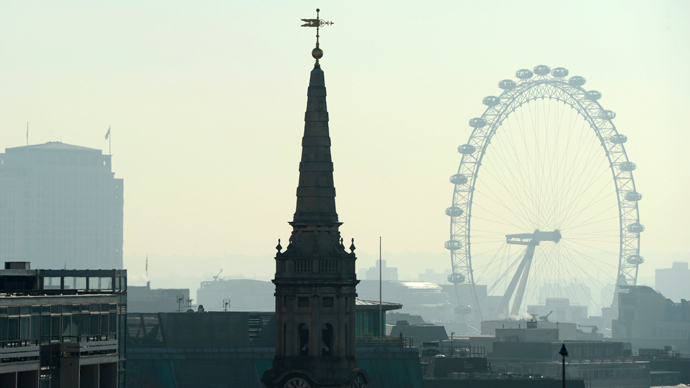 The infraction proceedings were reportedly sparked by inadequate UK proposals for adhering to EU laws governing emission rates. The related government documents tendered to Brussels were riddled with inconsistencies and missing data, the Guardian has revealed. The controversial Aberthaw plant, situated on the South Wales coast , is central to these proceedings. Aberthaw is specially designed to burn coal from the South Wales locale in which it is situated. But this fuel is particularly difficult to light and requires a special chemical compound to ensure it burns. An added chemical catalyst worsens the release of NOx in the burning process, meaning the plants emissions average at 1,000 mg/Nm3, according to the Guardian. The legal limit, as defined by the European industrial emission directive (IED), is a mere 200 mg/Nm3. Under these regulations, Aberthaw must be shut down by 2016. In a bid to keep the coal power station open, the UK government is seeking an exemption from European law, which prohibits plants from emitting such high levels of the noxious gas. But Aberthaw already has an EC exemption, which facilitates the plants emission of as much as 1,200 mg/Nm3 of NOx. The legislative leniency, which has allowed the plant to remain open thus far, was extended on the basis the power station was utilizing low-volatility, locally-sourced coal and helping to sustain a sizable local industry. But gas and electricity firm RWE npower, who run the 43-year-old plant, are currently mixing indigenous coal with coal sourced from regions as far flung as Russia. At present, 30 percent of the coal used in the plant is sourced outside Britain. The current exemption stipulates the plant must use coal of less than 10 percent volatility. 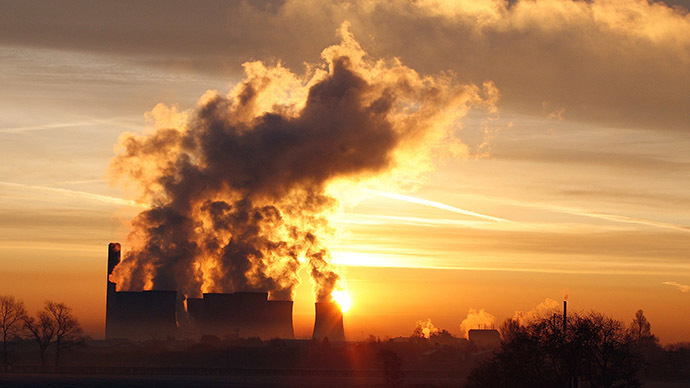 While the power station reportedly uses coal with a volatility rate of between six and 15 percent, the British government has failed to issue the EC with precise figures documenting an annual mean in this respect. As a result, the EC stipulates the Welsh power plant no longer meets the exemption’s requirements. While Defra has tendered two proposals, which outline plans to reduce emissions nationally and reference Aberthaw in this process, the EC has rejected the proposals and commenced official infraction proceedings against the UK. Related unions are concerned the conflict could see the plant closed in less than 24 months. At present, the power station supports thousands of jobs in the local coal industry. Such a closure would severely impact “the Welsh coal industry, RWE support staff and other large industrial units” dependent on that sector, UK trade union GMB warns. A spokesperson for the Welsh government, which is brokering negotiations concerning the fate of Aberthaw, says it hopes to reach an “acceptable resolution.” Probed on what might be deemed as acceptable in this context, the spokesperson was unwilling to clarify, but added that the UK’s Department of Environment, Farming and Rural Affairs (Defra) was actively involved in ongoing discussion. Defra have declined to comment on the matter, saying infraction cases are bound by confidentiality. “Correspondence in infraction cases is confidential. This is necessary to enable a full discussion of the practical and legal issues and ensure compliance in the shortest possible time,” a Defra spokesperson told RT on Wednesday. Critics believe the UK government is not singlehandedly lobbying to keep Aberthaw open, emphasizing corporate lobbyists have played a role in influencing government policy. According to academic research conducted by Tasmin Cave and Andy Rowell in 2014, corporate lobbyists infiltrate Britain’s corridors of power in myriad ways. According to their research, UK policy relating to finance, climate change, renewable and non-renewably energy, tax, health and privatization is infiltrated by lobbyists who seek to rig debate, financially eclipse their opponents, and sway prolific policymakers in multiple ways. Energy companies are particularly politicized entities, forming part of this broader picture. Two prolific lobby groups that foster and promote the interests of non-renewable energy companies in Britain are Energy UK and the Institute for Economic Affairs. Energy UK is currently headed by Angela Knight, who was formerly chief of the British Bankers Association, while the Institute for Economic Affairs is a significant player in the field of fossil fuel-based energy lobbying and energy policy deregulation. Many lobbyists also occupy strategic positions within the sphere of UK policy making itself. For example, Lord Browne, the former chief executive of BP and current chairman of Cuadrilla – one of Britain’s main shale gas companies – is a policy adviser to the government on business and energy-related matters. Another example of this revolving door amidst business and politics is the British government’s system of subsidizing gas-power stations. The architect of this program is a high-ranking ESB executive whose expertise have been sought by the government’s Department of Energy & Climate Change. Given the fact ESB is responsible for building these very gas-burning power stations, serious questions over a potential conflict of interest arise. "When the government said it was going to take on the energy industry, we didn't realize that meant hiring their [staff] and letting them write the rules," Greenpeace UK's deputy political director, Joss Garman, told the Guardian in November. 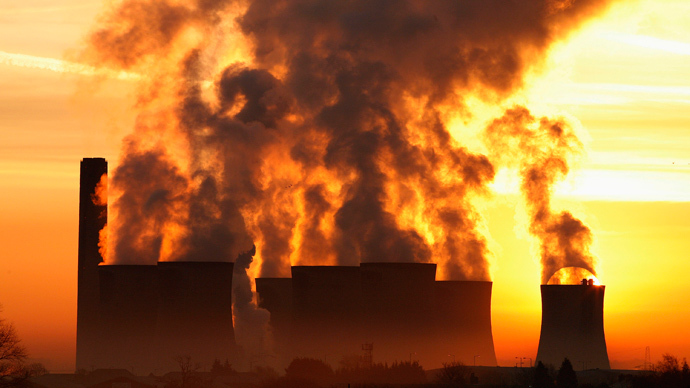 The health implications of the UK government’s position on this contentious power station have roused the concern of myriad environmental groups. According to a study published by a British Medical Association journal in December 2013, pollution in the European Union is causing premature deaths even when levels meet quality guidelines.